List of the latest and upcoming video games for PlayStation VR. For each PlayStation VR compatible game you can view Walkthrough gameplay videos, trailer, interview and dev talk YouTube videos. You can view the game release date for each platform, as well as for each of the PlayStation VR games you can rate it and share your opinion about it. 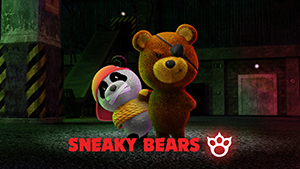 Prepare for a VR adventure never seen before and immerse yourself in the story of the unusual friendship between a drone and a team of misfit scavengers set out to save the world. 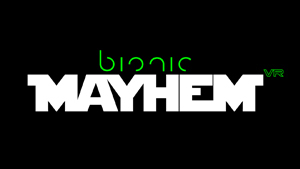 Bionic Mayhem combines classic side-scrolling beat em ups and first person shoot em ups in a unique gaming mechanic, set in a post apocalyptic environment. The first trailer showcases 3 levels out of 24, focusing on the beat em up gameplay. Transport yourself to the land of Greek mythology on a virtual reality RollerCoaster ride you'll never forget. 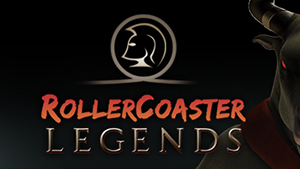 Unlike any VR rollercoaster experience you have seen. SEPARATION is an ambient exploration puzzle VR game for Oculus Rift and PlayStation VR. 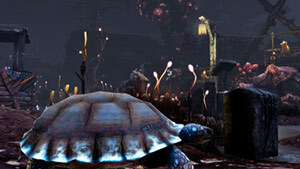 Players will need to explore natural solitude places and solve puzzles. Estimated release date, Spring 2018. It's listed in the Spring 2018 game list on the official PlayStation blog. Prana is a unique interactive meditation VR experience that the user engages with their breath, employing physical breath to heal various creatures in their environment around him, while at the same time learning to control their own breath and emotional state. Island Time is a desert survival game. After a journey at the sea, your boat is stuck on a tiny island. 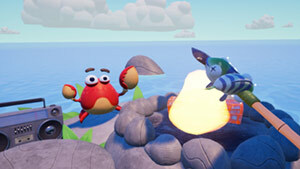 Now with your new buddy, Carl the Crab, you need to find a way to survive by crafting tools, fend off creatures and try to signal an airplane to locate you and save you. CoolPaintrVR is an incredible painting experience in virtual reality. 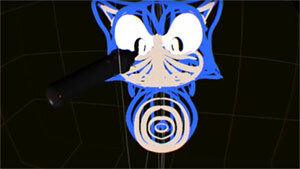 This application allows you to unleash your creativity using various tools to paint inside the 3D space. 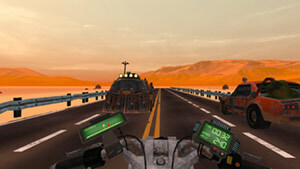 Apocalypse Rider is a VR arcade motorcycle game where you must prevail the high-speed wasteland roads, avoid the hostile traffic and keep surviving, speeding, riding. The game feature 20 levels, 5 motorcycles to ride on with lots of upgrade option. The game supports both gamepad and motion controller. Coming Sprint 2018 for PS VR. PlayStation VR is a high-end VR headset with a built-in display, manufactured by Sony. 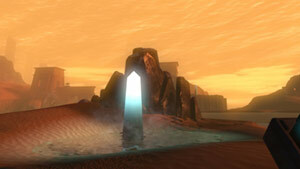 The first prototype was revealed at GDC 2014 and had recieved positively by the PlayStation gaming community. PlayStation VR is compatible with PlayStation 4. The headset has a total native resolution of 1920x1080 utilizing dual OLED displays, 960x1080 resolution per eye. 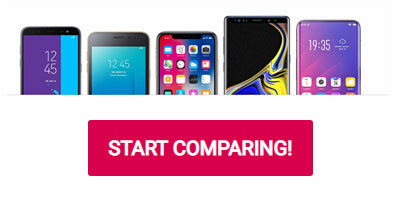 It also employs a very high 120hz refresh rate and 18ms latency, which put it in a very competitive positioning versus its competitors. Sony's PlayStation VR is very comfortable to wear, even with glasses. Unlike some of its competitors, PlayStation VR headset requires separate audio input, it doesn't have it built-in. Obviously, the PS VR headset will be the only option for PlayStation 4 gamers. Sony's primary focus was to bring a better sense of presence when the user is engaged in the virtual environment. It also wanted to improve the visual quality and provide more accurate precision with nine LED trackers that provide 360-degree tracking of the person wearing the headset. The most important thing is, when you play a game, you'll feel that you are actually "there" in the scene. This better presence feeling significantly improved the emotional response to everything that happens all around you. Another primary objective was to magnify the social interaction by making sure that there'll be many local multiplayer games when the headset is released. This means that we'll see asymmetrical multiplayer games, where two players play locally, one is using PS VR and the other is using the DualShock controller. This way, if you have just one VR headset, you and your buddies can still enjoy playing some local multiplayer games. PlayStation VR is launching on October 2016 for a retail price of $399. The price is much cheaper than the Oculus Rift and HTC Vive, and obviously much more affordable for those who already own a PS4 console and only need to pay for the headset or also the additional required camera. Sony made sure that the PS VR will have a great game lineup at launch, including some great exclusive titles. One of the caveats of the PS VR is that Sony hasn't developed a new controller for its new headset and players will be using either the DualShock 4 or the PlayStation Move controllers, which are being sold separately. You can purchase the launch bundle which includes the headset, needed cables, stereo headphones, the PlayStation Camera, the PlayStation VR Worlds Game disc and the Move motion controllers. If you can't wait until October to try out the PlayStation VR, just so you know, Sony has teamed up with GameStop to set up PS VR demos across its stores starting June 2016. It's not easy to sell VR, and people will have to experience it in first-hand in order to fully understand the difference between playing a VR game versus playing it on a regular display. You'll be able to try out the VR games yourself and decide whether the PlayStation VR offers the experience you have hoped for and whether you are willing you invest your money in it. In this page, you can find a huge collection of virtual reality games which are compatible with PS VR headset. 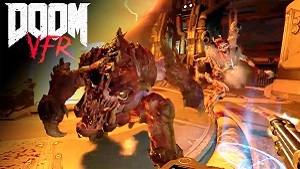 In this list, you can find many PlayStation VR games, including a short description about each one, previews, reviews, trailer and gameplay videos, ratings and user comments. The PS VR game index is being updated on a regular basis with news, game updates and newly introduces features that once announced, are added to the game's page. Our goal is to deliver a comfortable way to quickly browse through all the latest and upcoming games for PS VR headset. If you find a PlayStation VR game that isn't listed here, you can suggest it by clicking the "Submit a game" button on the sidebar, and we'll do the best we can to add it as soon as possible. As of the time of writing, there is also a rumor of Sony planning to release an updated PlayStation 4 console dubbed PlayStation 4.5 "Neo", which supposed to be launched prior to October 2016 (some say in September) and before Sony launched its PlayStation VR headset. The new console is speculated to come with more powerful hardware that will be able to provide VR game developers with a more powerful hardware to optimize their game for. Whether some PlayStation VR games will be able to run at 4K at high frame-rates, that still yet to be seen. PSVR will come with an extensive choice of games at launch, up to 50 games, which is quite a lot when you come to think about it. So there'll be plenty of games to play once the PSVR headset is debuted in October 2016. Although the PlayStation VR will only work with the PS4 gaming console, Sony executive vice president, Masayasu Ito, told in an interview to nikkei.com that Sony is not ruling out the option to release its VR headset outside the PlayStation ecosystem and have it available for PC gamers as well. Sony can certainly have a great potential to grab an even larger market share if it decided to do so, especially consider the lower price of the PlayStation VR headset compared to the HTC Vive and Oculus Rift - if indeed the VR headset will carry the same specs, the PC version might be different. For more updates on the PlayStation VR headset, visit our blog at blog.vrgamesfor.com.